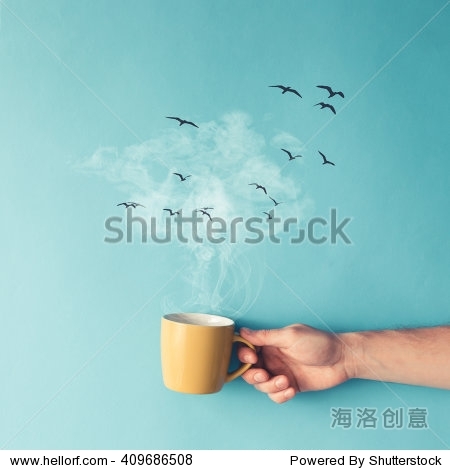 Coffee cup with steam clouds and birds. Coffee concept. Flat lay.